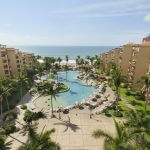 Villa del Mar Timeshare is part of the first Villagroup complexes to open almost 30 years ago in Puerto Vallarta, Mexico. 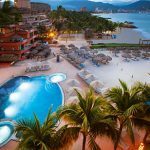 The Villagroup is Mexico’s leading privately owned resort and timeshare developer with a number of luxury and family resorts in key beach destinations throughout Mexico, such as Puerto Vallarta, Cancun, Cabo San Lucas and Loreto. The Villa del Mar timeshare resort is located right next to Villa del Palmar Beach Resort and Spa with easy access to all the facilities of both resorts and the beach. 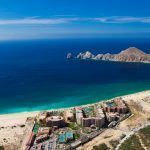 That is, timeshare owners enjoy the exclusivity of a private pool, outdoor Jacuzzi, private lobby and other outdoor facilities that are exclusive to Villa del Mar Timeshare owners as well as all the resort facilities offered at Villa del Palmar. 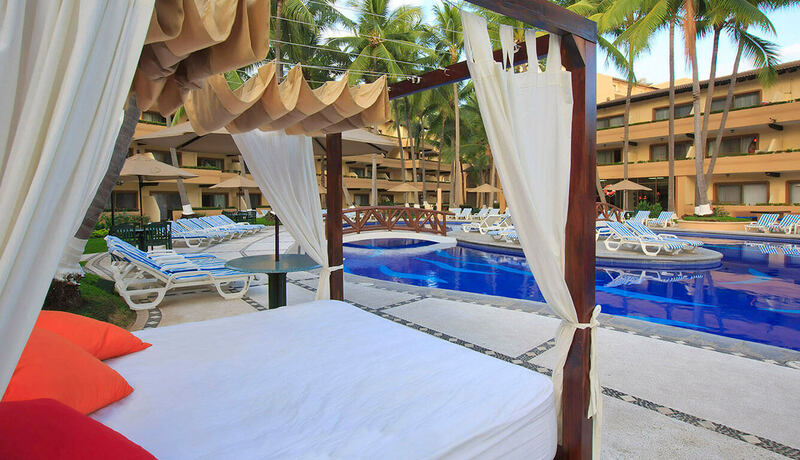 The Villa del Mar complex offers a more intimate and personalized experience with free access to all the benefits of the larger Villa del Palmar complex with its restaurants, huge pools and spa etc. Most of the timeshare members who own weeks or points at Villa del Mar timeshare have enjoyed their membership for many years and would not swap it for the world. Villa del Mar’s owners are testimony to the long-term vacation enjoyment you can experience by becoming Villagroup members. Timeshare reviews given by Villa del Mar owners constantly praise the resort’s home from home ambiance, where staff remember your name and greet you like old friends. All of the Villa del Mar timeshare suites have kitchenettes, dining rooms and balconies, and are either one or two bedroom units that really give the feel of a home away from home. Long term timeshare owners who have grown part of the Villa del Mar timeshare community can use their apartments to entertain friends they have made while on vacation in Puerto Vallarta. The smaller pool area reserved only for Villa del Mar owners makes it easy to make new friends and feel part of a timeshare family, going back to the roots of the timeshare vision. Villa Preferred Access members can also use their points to stay at Villa del Mar for a truly old-school timeshare experience. 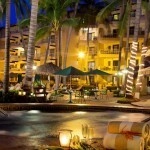 ← What do you Know about Timeshare?